Little Voices South West London performing arts school has helped students in Putney, Richmond , Earlsfield and Fulham to achieve outstanding results in this year’s London Academy of Music and Dramatic Art (LAMDA) examinations. In May, 125 Little Voices children took exams in grades 1- 8 with over 99% achieving a distinctions and merits, and yet again, Little Voices has maintained its outstanding 100% pass record. The students ranged from aged 4 to 18 years old. Little Voices focuses on expert guidance and traditional teaching methods in singing and acting, delivered in small group lessons to maximise student development. Principal, Ashlea commented: “We are thrilled that our students’ talents have been recognised through these amazing results and are so proud of all of them. It is always rewarding to be part of an organisation that helps students to achieve their ambitions,” she said. LAMDA examinations are prestigious awards, from which students can gain UCAS points to help with their university applications. As part of the exams, students must perform their poems, scene and musical theatre piece’s for the examiner with confidence. One group; Max Moorehouse, Tessa Barkett and Grace Corah all achieved exceptional marks with a very high distinction, for their performance of Frozen!. 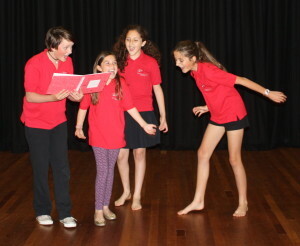 Little Voices have four centres across south west London, running for the past two years during which time Principal Ashlea Pearson and her team of tutors have trained 200 students in drama and singing, helping them to achieve a consistent 2 years of impressive LAMDA results.